Angela is a mother of two and dedicated family woman, with over 20 years of clinical Chiropractic experience. She is a certified Applied Kinesiologist and incorporates a wide range of traditional adjusting techniques in practice. Angela has extensive experience with kids and mothers during pre and post natal care and is passionate about seeing whole families enjoy the benefits of Chiropractic. Angela studied for her Bachelor of Science Degree at Sydney University, majoring in Anatomy and Physiology. During this time she completed her 3 year undergraduate Chiropractic subjects, qualifying her for the post-graduate Masters in Chiropractic degree, a further two years full-time at Macquarie University, in Sydney. Subjects included Differential Diagnosis, Orthopedics, Radiology, X-ray, Chiropractic adjusting techniques and Patient Care in the Summer Hill Outpatients Clinic. 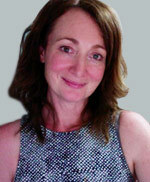 After graduation in 1995, Angela took over running an established chiropractic practice in Sans Souci, Sydney. Angela thrives on seeing people of all ages, benefit from a healthy spine and nervous system. Her practice provides care to newborns and infants, through to mature aged men and women. Angela’s passion, is healthy, happy individuals and families. My husband and I have two beautiful children who keep our lives very full. Our children, Elizabeth and Miles, are two excellent reasons to want lots of energy and a healthy spine! Otherwise -we wouldn’t keep up with them! As a family we all receive regular chiropractic care and enjoy the benefits. Away from her practice, Angela loves spending time with her husband Michael, their children, and with their families and friends, boating on weekends, early morning swims,live music, and playing the piano.